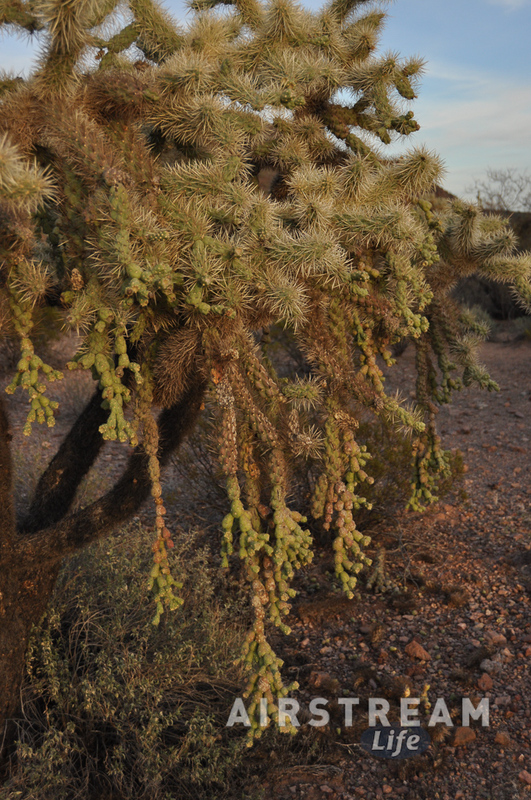 You know … I had such a good time at Organ Pipe Cactus National Monument last week that I did something unusual. At Eleanor’s suggestion, I left the Airstream parked in the campground so we could come back as a family for another visit. We’ve never done that before. So I came home on Wednesday, re-packed and caught up on some work, and then Friday all three of us went back just for the weekend. It was a weird thing to come to the campground and find the Airstream sitting there, all set up and ready for us. It was more like having a vacation house. 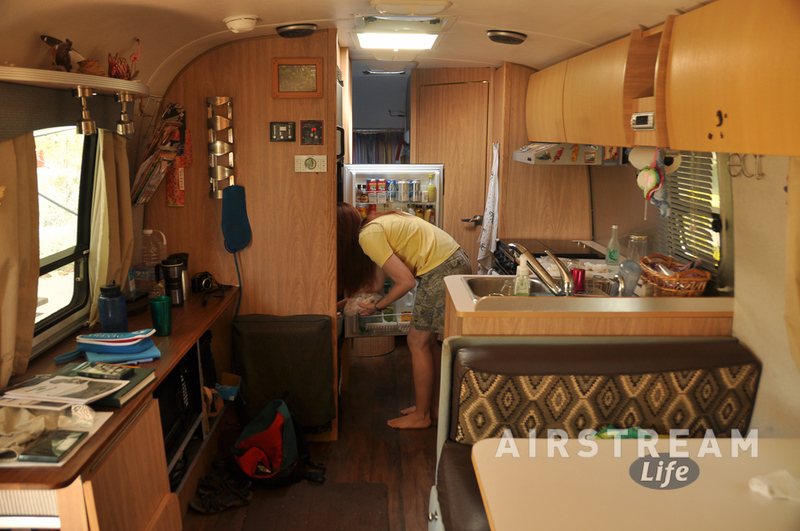 But it was great: We just piled in, and I slid out the awning and Solar Shade, and opened the windows and let the warm desert breezes flow through … and it was an “Aaaahhhhh” moment. No obligations, no deadlines, and glorious sunshine in a quiet park. That feeling lasted all weekend as we hiked out to abandoned mines and filled in our “Desert Ranger” books (everyone got a patch), and visited with other Airstreamers, and generally just chilled out. I have to say, it was a great mini-vacation. As we were camping I was reminded of how great it is to have solar panels on the roof of the Airstream. The Twin Peaks campground at Organ Pipe has a few rows where generators aren’t allowed, and I noticed that most of the Airstreams were clustered there (including us). It was more peaceful without the rumble of generators firing every morning while people microwaved their coffee. This time of year the sun angle is low and I often wish I had just a little more sun-gathering capability, so I’m now using a 120-watt portable solar panel kit to augment the fixed panels on the roof. This has turned out to be so great that I’m going to start selling the same kit in the Airstream Life Store. Having a set of portable panels means you can set them on the ground where the sun is shining (even if the Airstream is in shade) and angle them to catch the early morning and late afternoon light that flat roof panels miss. This effectively gives you a lot more power collection especially during the short winter days and cloudy days. They have adjustable legs so you can set the angle to match the sun, and they fold up to easily store in a zippered carry case. I’ve got a bunch of these solar panel kits coming in next week. They’re somewhat expensive, but if you were ever thinking about getting a set, I’ve got a deal for you. The kit we are now selling includes 120 watts of top quality folding panels with all the bells & whistles. It’s totally “plug and play”—you don’t need anything else to get started—and we include a few crucial accessories that other sellers don’t include. We’re going to sell this complete kit for $636. Since you’re a blog reader, if you contact me before March 10, 2016 and you’re one of the first 10 people to respond, I’ll send you a discount coupon to use on my store that will reduce your price by $50. I guarantee you will never find a better price on this full kit (including extension cable and 7-way plug adapter) anywhere. Click here to read more about what we’re offering, but be sure to get the discount coupon from me before you place your order.